Did negligent security contribute to the death of this young man? We represent individuals who have suffered a loss or sustained an injury as a consequence of negligent apartment security. 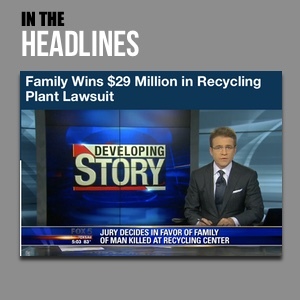 Read Our Legal Take to find out if the victim’s family may have a legal avenue for justice and claim for substantial compensation. A shooting outside the Urban Palms Apartment Homes reportedly claimed the life of a young man Wednesday evening, October 26, 2016. 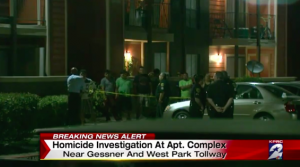 According to KPRC News 2, “[o]fficers responded around 7:30 p.m. Wednesday to a report of a shooting at Urban Palms Apartment Homes at Town Park and Gessner and found a man’s body in the parking lot.” The victim, described in his 20s, was apparently a resident of the complex. Apartment residents and guests have a right to feel safe and secure within the community. The Murray Law Firm questions the level of security provided at the apartment complex and whether this tragic loss of life may have been prevented. How did a gunman gain access to the property? What security measures, such as gated-entry, bright lighting, security patrols and surveillance cameras, were in place to deter crime at the time of the shooting? Crime reports, from Spotcrime.com, reveal a number of recent assaults and robberies in the surrounding area. Have there been prior incidents of violence on property and, if so, were any additional security precautions implemented by the property owner or management to protect residents? Generally, property owners are required to protect all residents and guests legally on the premises from any foreseeable harm. Should the facts of this matter reveal that the apartment complex owner or management company failed to provide adequate security to protect those on its premises, the victim’s family may seek justice and elect to pursue a legal claim for his wrongful death.